Raymond Sebastian is a man of the cloth. 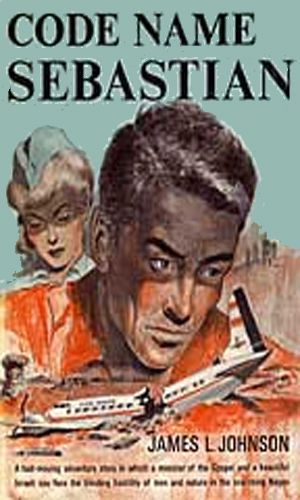 In an occupation where hedonism often seems a conservative outlook, at least compared to the wild actions of some of the agents, the idea that an espionage series could exist where the agent is not only not a dedicated lecher but is actually a confirmed and avowed Christian seems improbable. That the series could actually be very good seems, unfortunately, remarkable. 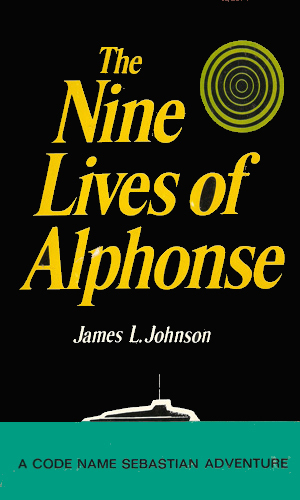 I said 'unfortunately' because the quality of the six-book series written by Mr. Johnson is enough to make a spy-fi fan wish for there were a lot more like these. The adventures of Raymond Sebastian are definite proof that one does not have to be immoral to survive in the world of the wicked. Sebastian maintains his religious beliefs throughout his ordeals but, and this is a key point to remember, never with any sort of holier-than-thou attitude. He is what he is. He responds to questions and criticisms about his beliefs and his god with frankness and honesty. He is so confident that he doesn't feel the need to argue. Sebastian does not like violence and he never goes out looking for it but he is no shrinking violet, cowering when threatened. He can and does take care of himself. As for the adventures themselves, they are very well done. Each situation that Sebastian finds himself in comes to pass through logical steps, building up quickly but sensibly so the reader is brought along comfortably. And each ends very intelligently, which is often a miracle in this genre. Unsure of his role as a minister, Sebastian takes a sabbatical to the Holy Land to 'recharge' his batteries. While he is on a flight from there to Africa, the aircraft suffers an emergency and crash-lands in the Negev Desert. Even as the survivors seek to stay alive and later to find their way out, Sebastian is made a reluctant ally with an Israeli agent fighting Arab revolutionaries. Enjoying a bit more notoriety than he likes from the previous adventures, he is approached for help in seeing the rescue of a large group of Cuban dissidents from that island nation. Besides Castro's forces out to stop him, he and his companions must also stay out of the hands of the U.S. government which does not want things stirred up. 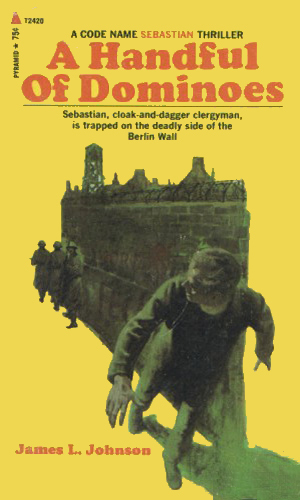 In a Berlin tense with a buildup of Soviet forces along the border, Sebastian reluctantly agrees to exchange places temporarily with a minister behind the Iron Curtain with whom he has an amazing resemblance. Soon he learns that the man of the cloth was far more, and less, than most people thought and his actions could easily turn the Cold War red hot. 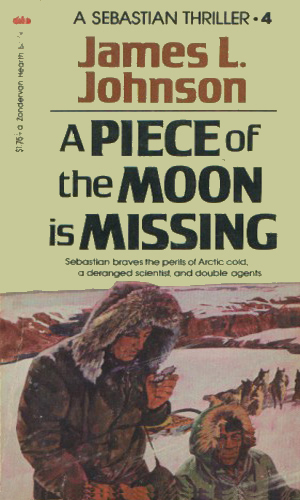 With a mind twisted by anger over the loss of his sons, a noted space scientist is heading to the North Pole with the intent of exploding a device capable of destroying the ice cap. 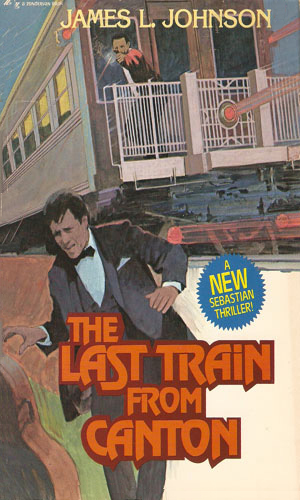 Sebastian, a former student of the man, is asked by the government to catch up to him to stop him. Helping him is a beautiful Soviet agent who has a separate set of orders including destroying Sebastian. When Raymond Sebastian is sent a news clipping anonymously, he is intrigued by the sender and by the fact that it shows the woman he loved, a woman who died some time before, still alive. As he goes to check it out, he becomes involved in an adventure concerning a possible heir to the Mandarin dynasty. The Soviets want to make their new killer satellite operational but they need the help of a aged scientist. 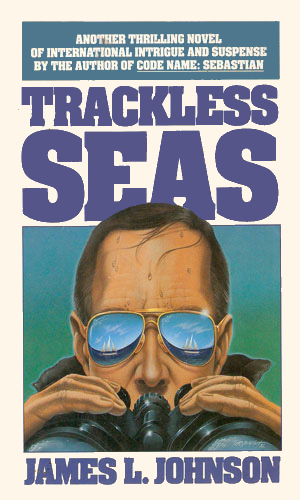 That man is onboard a ship heading back to England. Raymond Sebastian is one of the four passengers, along with the woman he loves. He never planned on the Soviets determined to catch or kill them all. A sad comment on the world we live in is that a series of adventures about a religious man should be considered so uncommon that it would stand out for that fact alone. Even sadder is that the series didn't sell well enough to continue even though the stories are good, the action terrific, the characters realistic, and the overall feel of the books very enjoyable. It is hard to describe my reaction to this series other than to just call it 'very positive'. They have none of the sappy 'feel-good' endings that is commonly associated with spiritual stories. People you like sometimes die and others you wouldn't miss sometimes get through. But during it all, you get the attitude that a good man was working for a good cause and along the way was a quiet example to others. I liked him. And the series.